This week on Science on the Radio we visit Green Lakes State Park located in the Town of Manlius. As most CNY natives will attest, the park is strikingly scenic, and has an impressive golf course designed by Robert Trent Jones. The park is also home to perhaps the most studied meromictic lake—one in which layers of water do not mix—in the world. You'll hear more about this wonderful state park, this week on Science on the Radio with Dr Marvin Druger. 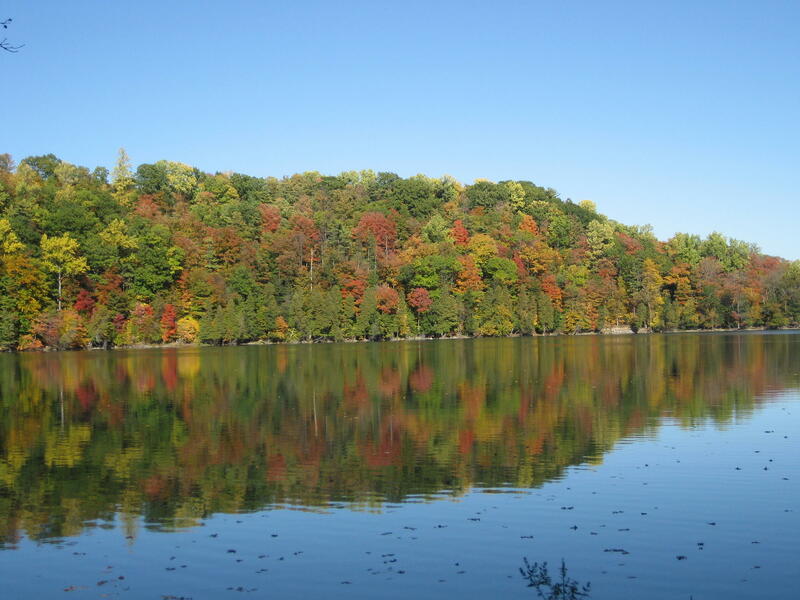 Dr. Marvin Druger takes us on a stroll through Green Lakes State Park.